Well i feel as though it is time for a new blog. I know it's been a week since the night race at Daytona happened, but i feel like blogging about it anyway! Is everyone ready? Okay here we go!!! So as you all know we went back to race at Daytona in the evening... after Trevor Bayne winning the Daytona 500 in the start of the season anyone could walk away victorious. If you have read my previous blog it talked about that very winner.. yes.. David Ragan. His win was a great moment for many fans and it was well worth the watch. Now let's talk about RBR and how Kasey Kahne & Brian Vickers worked together as much as they could that night. At Daytona you want to have a "Dancing Partner" or so they say. Someone you can get in front of or behind.. and use them to help make moves. Many common partners paired up and the two Red Bull toyota's paired up at the very beginning of the race. I had a feeling they would stick it out to the end.. which they did until Brian got caught up in a wreck and Kasey was left without a partner. Overall the entire race they stayed teamed up and lead many laps. Red Bull had great strategy and worked and pushed to the very last minute. Now why in the world am i talking about RBR? I mean come on after the Scott Speed events that happened last year.. i didn't even know if i was going to still love RBR. I do.. love brian, kasey and cole. I talk about them because this just shows the fact that RBR is working had to make the cars work to the best ability that they can. Brian and Kasey are also working very hard to make the best finishes they can at each track they race at. I did not ask for fan opinion on this one. The reason was because i wanted to talk about what i see in RBR and what makes them a possible chase contender group. They have the cars and drivers to get into the chase.. each race i watch them improve as much as they can. I know sometimes the races go and RBR walks out with a top 20.. but we have been getting some top 5's and top 10's. 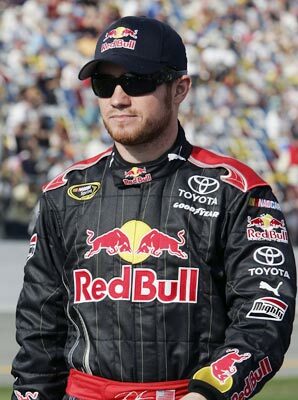 Brian Vickers and Kasey Kahne are showing them what they have to offer. 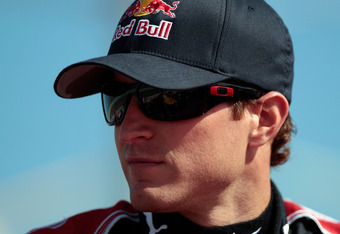 Even with only one year for Kahne, he still wants to win and bring home some victories for RBR. Vickers came back after having last season not work out due to blood clots. This team is working very hard each and every race to do their absolute best. I honestly have no idea if RBR will be around next season, or what is going on but i do know i will support the drivers no matter what. 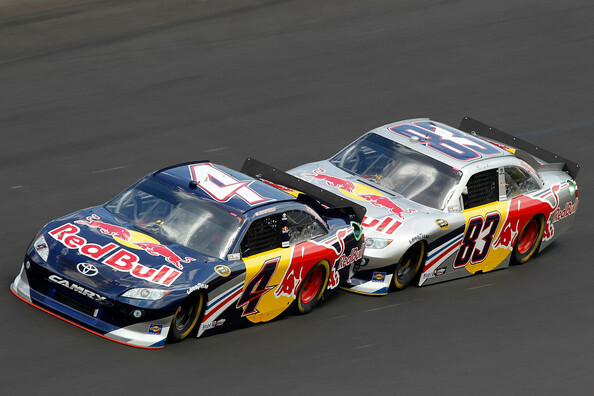 Also in this blog i want to express that Scott Speed will always be number 1 to me, Kasey and Brian are 2&3. It is who i am and even if Kasey is better than Scott.. Speed will always remain number 1 to me. 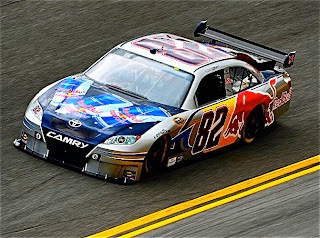 Scott will race for KHI in august and I am very excited for that! So this blog is now over too! This was a personal/analysis blog for me. I hope I did not bore you all to tears. I also hope everyone enjoy's tonight's race!